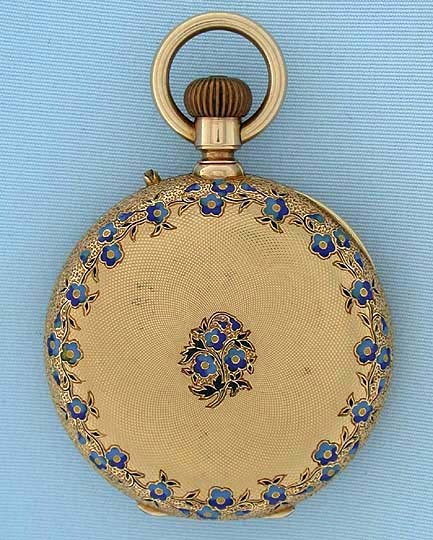 Attractive 18K gold and enamel ladies hunting case antique pendant watch circa 1880. 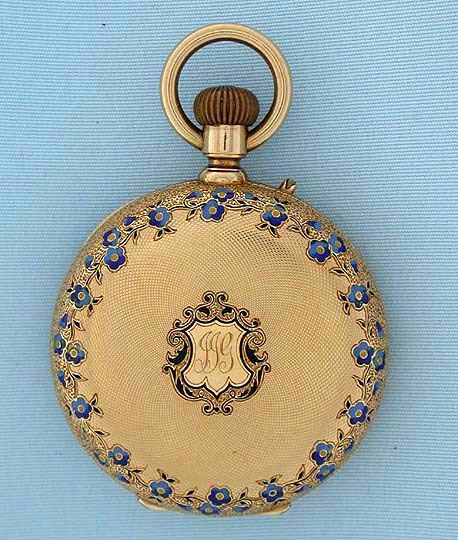 The substantial case engraved overall, the edges with enameled flowers, the front centered with a monogram within a shield, the back with a bouquet. 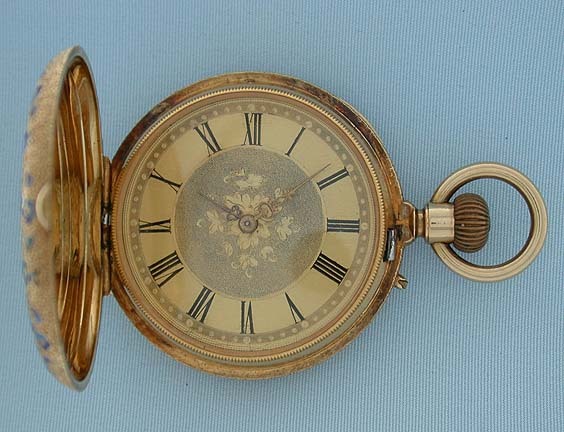 Gold dial with fancy hands. Gilt 10 jewel cylinder movement.